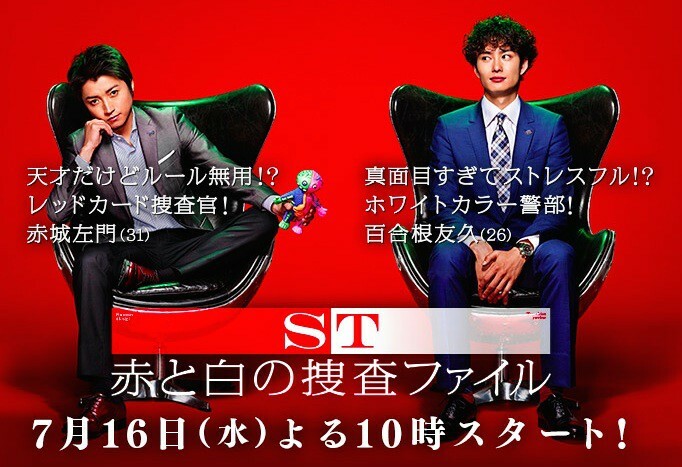 With Samon (Tatsuya Fujiwara) as the leader of the ST team and young Inspector Tomoisa (Masaki Okada) tasked with managing the team, the ST (Scientific Task Force) attempt to solve the most difficult of cases. The members of the team consist of elite researchers from the Tokyo Metropolitan Police Department’s crime lab. Haruhi Jan 25 2018 12:37 pm Oh I love this drama! Already watched it about three times but never get boring. Please make it season 2!! It's almost 4 years, but I think it doesn't matter to make season 2. And of coz it have to same cast. Reya Sep 19 2016 10:50 pm Great show with a unique, quirky set of characters. The ST team are great together, with Akagi and Yurine at the heart of it. Another show I was skeptical about at first, but once I got past the first episode, I was pretty much hooked. Another show that needs a season 2! Yay Panda Oct 23 2015 2:21 pm Is it me or are Ikeda-Aoyama an implied otp? One of the best detecive dramas in ages! Hannah Jun 27 2015 1:06 am I love this show!! Akagi, Yurine and Kurosaki are also my favorite characters, but I also like Ikeda! Season 2 asap!! kurousagi May 22 2015 11:09 pm just realize that their name have a color character on it.. the ST..
수미 Sep 21 2014 12:01 am I have to say this is a great show! It mixes comedy and mystery and I recomend it to everyone that loves Japanese shows! Akagi, Yurine and Kurosaki are my fav charactets... hope it has lots of episodes!